FoilFlex Products has developed a new low cost option to double the printable real estate on a standard single layer label. The 540 LABEL, is applied with standard label application equipment and wraps one and a half times around the bottle. It is made with standard label material. 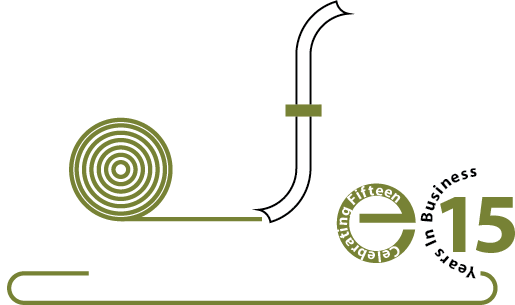 Since the 540 label does not use multiple layers of material, special laminations, or booklet insertion, the 540 Label is an attractive solution to the ever expanding amount of copy and graphics required on todays products. Our expanded label wraps one and a half times around any straight-walled bottle. 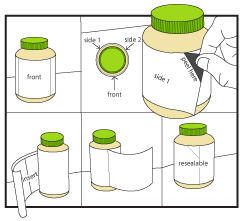 Your label can have two additional panels-- great for product specification, additional language information, or step-by-step instructions. Market your product with one color on the reverse panel and up to six colors on the front, side, and inside panels. 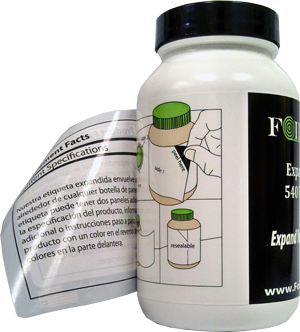 Use FoilFlex 540 degree wrap label to enhance your products package performance!